The new school year is soon to start. 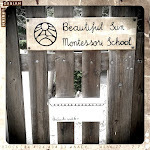 It will be the fifth year of the school, and my eigth year of teaching Montessori Primary. I've been thinking about cycles of knowledge, and time passing, and how still I have not come around to making definition booklets (I recently gave up prospects of making my own and just ordered them from Maitri) or mastered all the lessons with the bells. Last year before the school year began, my strong intention was to "keep things fun and simple." I used that phrase like a mantra throughout the year, especially during the treacherous moments of planning school events where my habit for complicating things and overworking is especially flagrant. I relaxed more, was more present, and enjoyed being with the children more when I was spending less time planning and worrying. During this holiday, the time I spent at school was mostly invested in un-cluttering, cleaning, and sorting out materials that honestly were never going to make it out to the shelves. 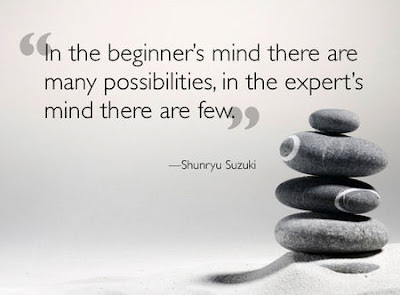 During the break I found a new north for the coming year: to keep a "beginner's mind". To me, beginner's mind means to bring freshness into the things I do. Even though I've presented hand washing two hundred and fifty times, to do it as if I was presenting it for the very first time. It also means to keep my mind open to possibilities, inquisitive, to listen well. When you are new to something, you observe very carefully and attentively. I'd like to observe like that. Beginners are also humble, friendly to the fact that learning something new will certainly involve making mistakes. Touching back on that way of thinking is what is on my mind these days. "Let go of knowing – that’s real wisdom. " Good wishes for the upcoming school year, Susanne! May we all "channel" the peace, wisdom, and joy from Maria...Thank you for all of the inspiration that you share with your words and your images. Be well. Sheryl Doolittle, Bambini Montessori, Flagstaff, Arizona. Thank you for reaching out, Sheryl! I wish you joy for the new year. You have a beautiful school.